Another variation of the extremely popular Versace set, this time performed in red and gold shades. Luxury glasses can become an ornament of the house or create the necessary atmosphere in bars, restaurants, coffee houses. 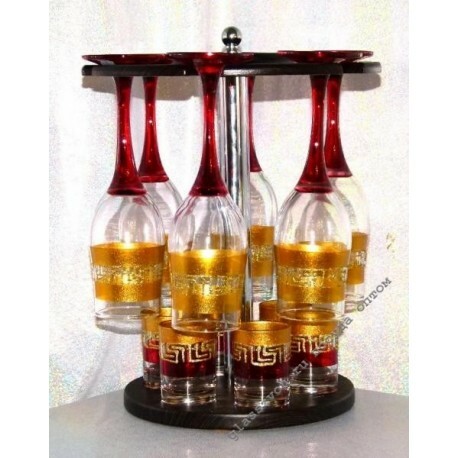 Like many other products, the "Versace" set is decorated with art painting - Goose Crystal is famous for its glassware, effectively and beautifully designed. 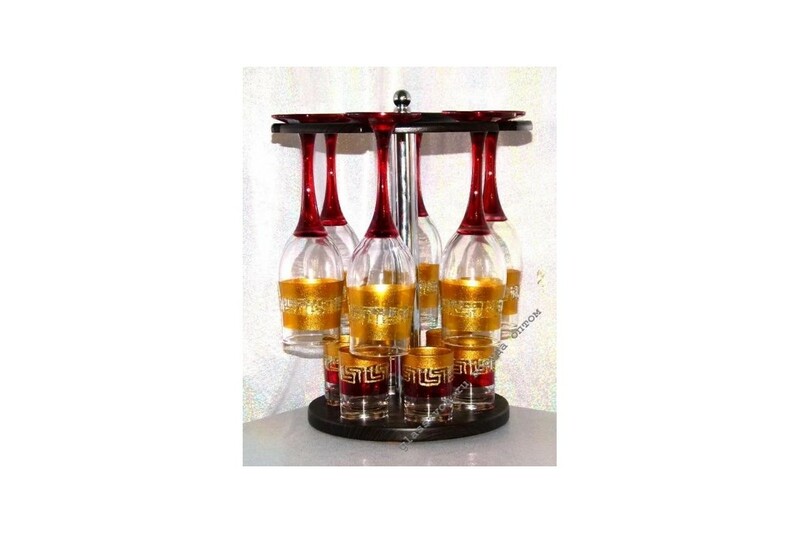 These luxurious and stylish red-gold glasses enjoy constant popularity, quickly becoming leaders in sales in retail stores of dishes and home accessories. Therefore, if you plan to make a wholesale purchase of goods for your store, we recommend including Versace kits in the application. Your order will be delivered neatly and quickly.